What is your ﻿Personal Development Plan﻿? Have you designed your Personal Development Plan? Whether you realize it or not, you may be sabotaging your own success. That’s right, you may be your own worst enemy and not even know it. Here’s why: dwelling on negative thoughts or feeling angry, depressed, fearful or anxious all the time drains your productivity, your energy and your effectiveness. If you don’t learn how to manage your thoughts and emotions properly … if you don’t learn how to increase your mental clarity … you’ll never achieve all that you are capable of achieving! On the other hand, if you can learn some basic psychological principles you can use them to get out of the negative states mentioned above and instead put yourself instead into what are called peak-energy states. Going into peak-energy states, which include states like inspiration, confidence, relaxation, love, compassion and growth, will boost your focus and your clarity and allow you to start getting more done quicker and easier than ever before. Perhaps a Self-Development Plan is required. 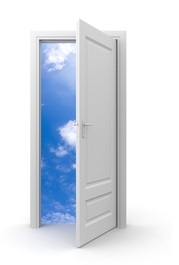 Gain Clarity & Achieve Your Personal Development Outcomes? There is nothing more frustrating than having the desire and drive to be more successful, but then being unable to accomplish your goals. To make matters worse, you may see others around you moving forward and getting exactly what they want while you continue to stay where you are or worse fall further behind. You end up feeling frustrated, powerless and stuck because you're trying to figure it out and make it work but nothing you do seems to get you ahead and move you to that next level in life. So what can you do? Some go to a psychologist or a success coach. But many of us don’t have hundreds or thousands of dollars to spend on psychiatrists or coaches or on self-help conferences. But luckily, now you don’t have to spend all that money. 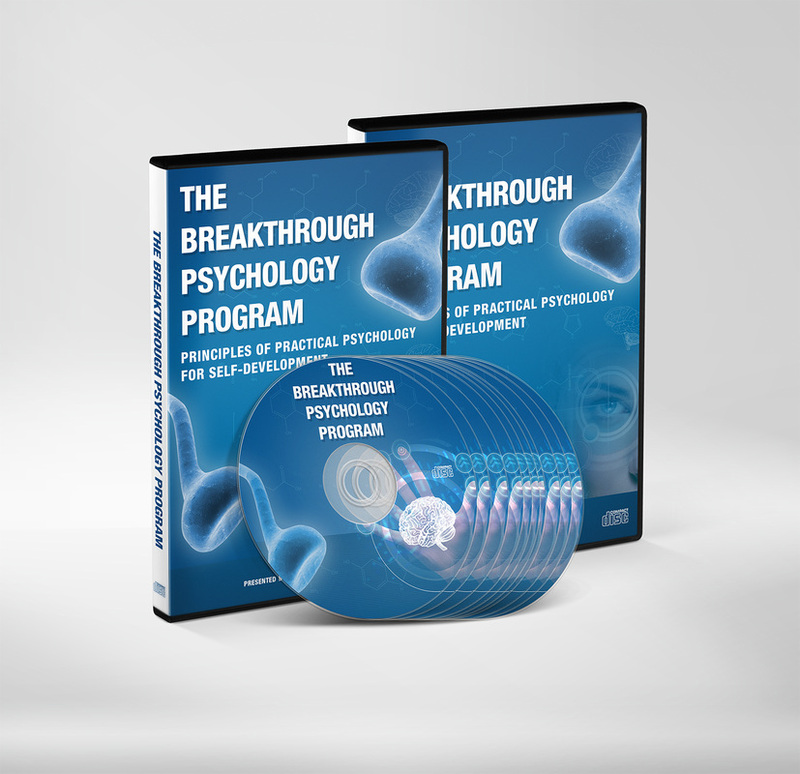 We’ve created The Breakthrough Psychology Program, a 10-disc audio program that reveals the simple psychological principles you need to know to design a personal development plan, overcome obstacles, and breakthrough to a new, exciting, successful life. These principles are easy enough for anyone to use and they are highly effective! Whatever they are, this personal development program can help you get past those obstacles and take your life to the next level. Are you shy, too self-conscious or too embarrassed (for whatever reason) to express yourself in social situations? Maybe you have difficulty dealing with people, your communication skills are not what they should be? Maybe you feel overwhelmed by emotional baggage and stress? 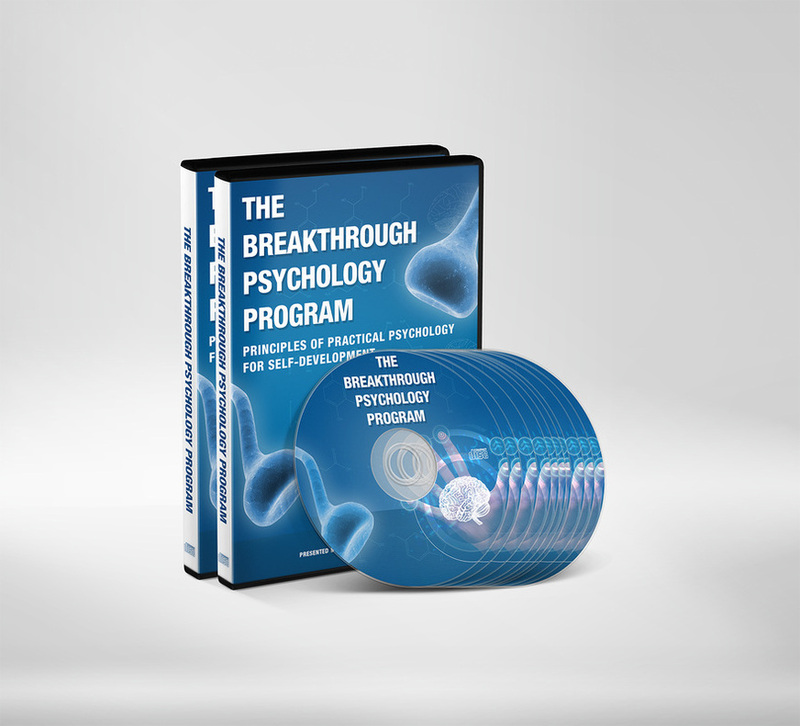 The Breakthrough Psychology Program is designed to help you unleash the true power of your mind through addressing your desire for a personal development plan. & How to Use This Information to Get What You Want! That’s right, this program doesn’t just tell you how to master your own thoughts and emotions but it also explains why others act the way they do. You can then use this new understanding to further your own success. You’ll learn how to uncover what really matters to people as well as people’s real motives for doing what they are doing. Then you’ll learn what you can do to change people’s minds and get them “on board” for whatever you need them to do. For too many of us, how we live our lives now is directly tied to pain we’ve suffered in the past. Maybe you were teased or bullied as a child, maybe a parent died or you felt ignored growing up. Whatever your pain is, you must learn how to get over it if you really want to achieve success in your professional and personal lives through implementing a strategic personal development plan. In The Breakthrough Psychology Program, you’ll learn how to transform the pain of your early childhood and adolescence or from any other time into a powerful force for change – a force you can tap into to grow your strength and confidence. The Breakthrough Psychology Program will show you step-by-step how to unlock the pain of the past and release it through practical techniques that take just seconds a day to complete. You’ll be amazed at how fast you’ll feel better and more confident once you start doing these simple exercises. Keep You From the Success & Happiness You Deserve! Whether you believe it right now or not, you already have inside you everything you need to succeed. You just need to know how to draw it out of yourself and get focused in the right direction. The first step is to get The Breakthrough Psychology Program and discover how to gain real mental clarity and focus. This program will show you how to determine what you really want, why you really want it, and how you can get it - In fact, you will be the one to define your own personal development plan's objectives. You’ll learn exactly how to move into a new and powerful life that is filled with strength, confidence, love and power. You’ll also learn how to completely breakthrough the pain of the past and of the present and how to liberate yourself from old patterns of fear, anger, anxiety and depression so that you can move into a powerful new vision for the future. How to manage and control your mental clarity and focus so that you can pay attention to the things that really matter most to you in life … and, as a result, get more of the truly important things done! 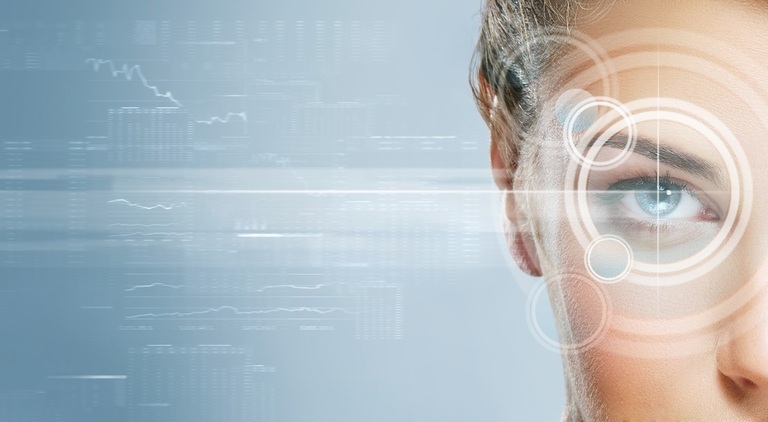 Why so many of us lose our focus and what you can do to keep yours laser-sharp! How to recognize and see your negative beliefs as what they really are … things YOU are putting in your way to prevent the success you say you are ready for! Why you really have no excuses ... the success you create or the success you don’t create is always about YOU – grasping this concept and becoming accountable for either will be the greatest single breakthrough you may ever have! How to be aware of other people as well as your own thoughts and feelings to ensure you stay on track for success! How to choose what to focus on and pay attention to in order to get what you want out of life! For a variety of reasons – such as a lack of knowledge, fear, an unwillingness to take action, etc. – many people go through life underachieving and never experiencing all that they could get out of life. But it doesn’t have to be that way for you. Not any longer. You can implement a strategic personal development plan right now. 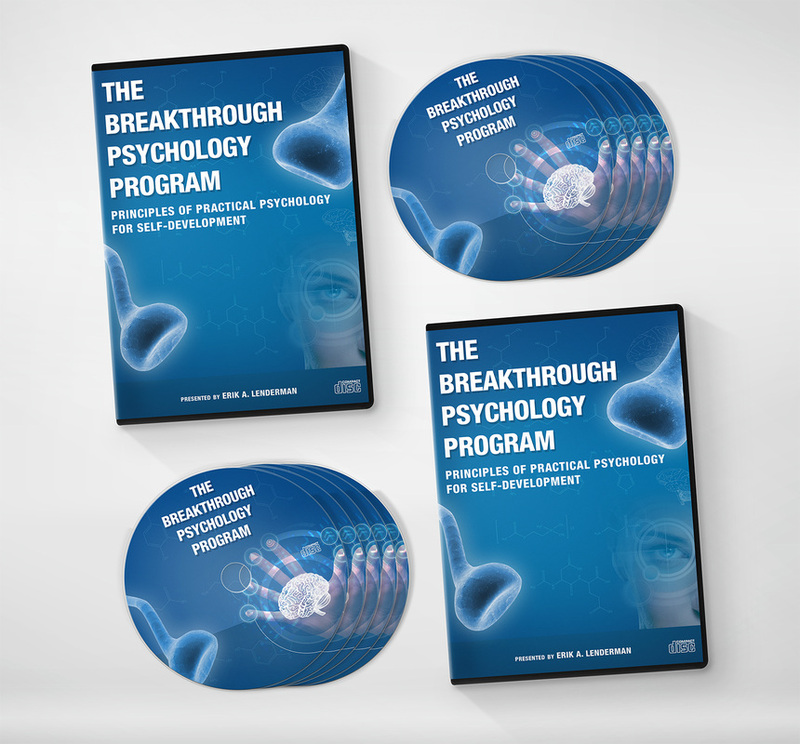 Get The Breakthrough Psychology Program and discover tips and strategies for enjoying success in all areas of life, including: career, relationships, financial wealth, family & ‘within yourself’! Just use The Breakthrough Psychology Program as your guide! I am so sure that you will love The Breakthrough Psychology Program that I am offering an unconditional 100% money-back guarantee. That’s ONE FULL MONTH to put this program to the test! Either get the information you need to break-through and achieve greater success or get your purchase price back! 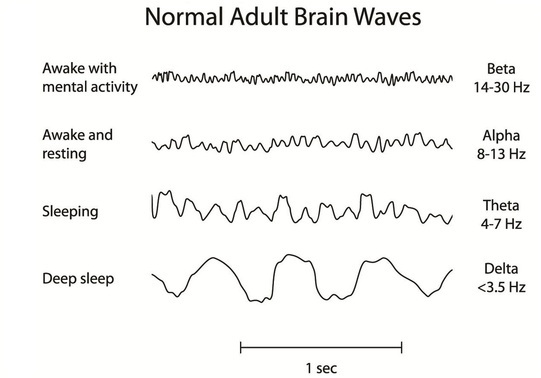 Do you know how to boost the clarity of your mind and emotions? State mastery is the first fundamental key to moving forward with your life, where this program will provide you with a clear understanding of your physiology and psychological makeup in order for you to apply the very best strategies for shifting from a state of fear into a state of strength, confidence, love, power, and more. Through training in Coherent Breathing and Coherent Focus you will learn how to increase the clarity and coherence of your mind and heart. Yes - The actual physical organ of your heart will be trained to access states of coherence that are optimal for your nervous system and will produce a positive impact on your brain. Through learning how to control your physiology you will learn how to shift your internal states physically, emotionally, and mentally. Apply the strategies used within this personal development program. Simple lessons will open your mind and deepen your self-understanding. 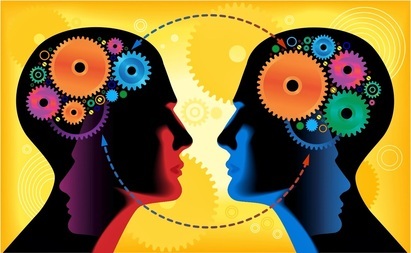 The mechanics of your mind are simple once you understand them, so you can use them to live a more fulfilling life and lead others to lead a more fulfilling life as well. This 10-Disc program could be extremely beneficial for developing key insights your personal life, your relationships, and your career. Master your understanding of how people work so that you may apply the best strategies for asking the right questions, resolving inner conflicts, and finding a way to live a more fulfilling life that is unique to you! The key subjects that we cover are your hidden needs and the ways in which you can harness the power of your mind in order to breakthrough. Perhaps you are interested in learning how to grow in your personal life through discovering what is most important to you, or perhaps you would like to learn more about what motivates your friends, family, and perhaps even your "enemies", or people that you don't agree with. Would you be interested in discovering what drives people to behave in certain ways and make particular decisions? The principles of practical psychology will describe what makes people tick, so that you can use that knowledge for your personal, social, and professional development in order to design an effective plan and take action. How do you liberate yourself from the pain of the past? The pain of the past can often be deeply challenging for your life, and many feel that their painful childhood, adolescent, and recent life events will change them and cause permanent harm to their happiness. However, this 10-Disc program provides you with strategies that are designed to transform the pain of the past into confidence and power. You can breakthrough the pain of the past and use this as an opportunity to launch forward through a rapid analysis and state shifting process that will unleash your personal power and contribute to massive growth. Learn how to transform the pain of your early childhood and adolescence or from any other time into a powerful force for change as you grow your strength, confidence, love, a powerful vision, and more. 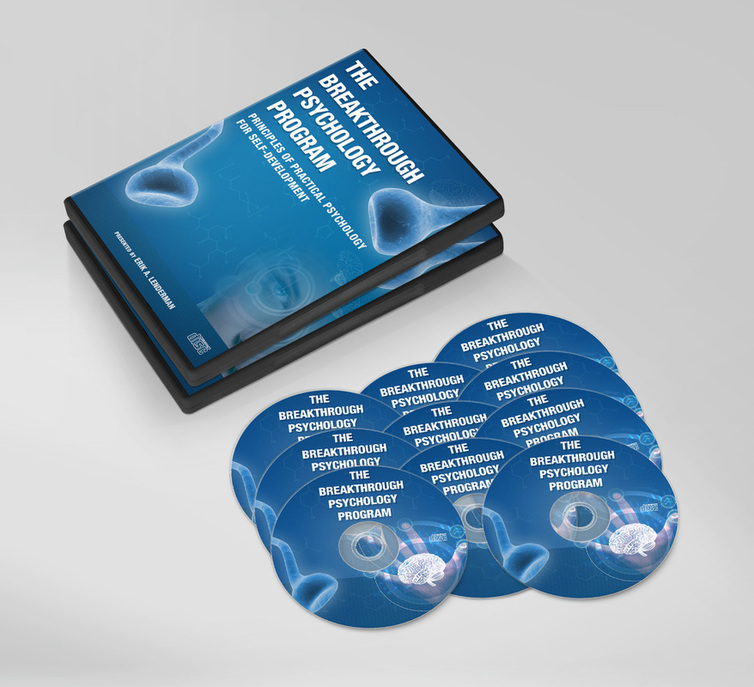 The Breakthrough Psychology Program will provide you with Step-by-Step instructions on how to unlock the pain of the past and release it through practical techniques that take about 30-seconds to complete. These are core strategies that you will need to implement through a clear personal development plan. The Breakthrough Psychology Program is designed to provide you with an overview of the best available strategies for shifting your state, which will help to release you from your past and develop a compelling vision of the future for your life. Through securing access to this 10-Disc program you will have the ability to repeat these exercises multiple times and until you have mastered these techniques. ﻿What is your chosen future? All people have seen a vision - A glimpse of the future of their lives and the future of the world that may be either positive and empowering or negative and destructive. However, some do not take consistent action in their lives to actualize this vision, so the world continues to operate as a painful and troubled place that calls out to your deepest and truest self to bring your greatest gifts to the world and begin making a meaningful contribution. This program will assist you with discovering what you want, why you want it, and how you plan to enact your vision (Your unique personal development plan). This will help you to completely breakthrough to Actualize Your Higher Values. The fifth step that you will learn to master is a SIMPLE and POWERFUL method for creating a compelling vision for the future that will draw you forward into a new and powerful life of strength, confidence, love, and power. 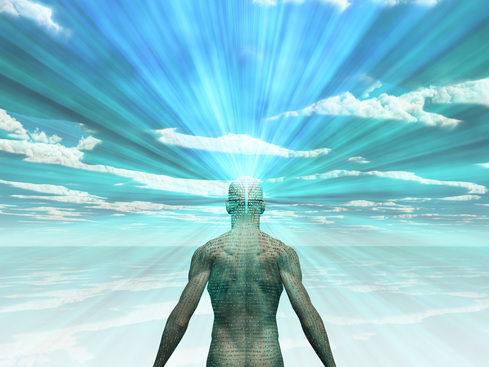 Completely breakthrough the pain of the past and present - shift your patterns of fear, anger, anxiety, and depression - completely liberate yourself and begin moving into a powerful new vision for the future that you choose. Do you have the best strategies available to implement your vision? 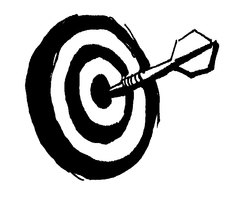 Many people have seen their vision and even begun to act, but they may not have used the best available strategies in order to achieve their objectives. Therefore, selecting a clear and coherent strategy that includes evidence of clear and consistent results is critical, where refinement of these strategies is fundamental to continued growth and progress. The seventh step in this program will provide you with the very best strategies and tools that you will need in order to create a massive impact in your life and the lives of others. Harness the power of the knowledge that you gained through training in the first part of this program, liberate yourself from the past, and design an effective strategy for implementing your vision. What is your personal development plan? Are you ready to take Massive Action to implement your Vision? One must learn how to shift state, breakthrough the pain of the past, develop a clear High Value Vision, select a strategy, and breakthrough into enactment. Take Action: This requires massive state shifts, a massive vision, and a massive strategy. Are you ready to breakthrough? This is often one of the most challenging and rewarding steps, because this is the moment when you channel your inspired energies into powerful and high-impact creative results. Personal and professional development are achieved through action. ﻿﻿﻿﻿Who created the field of psychology? The learning component of this program is robust, which provides you with the opportunity to expand your mind and learn about how people work. Explore a highly educational series of discs that cover the field of psychology from 2,500 years into the past and into the present. 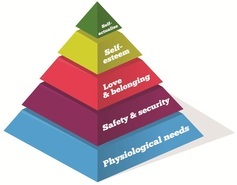 Psychology is a field that is comprised of a variety of theories that are designed to address the fundamental questions of human nature such as: How do you find more happiness and fulfillment with yourself and relationships? Why do you do what you do? 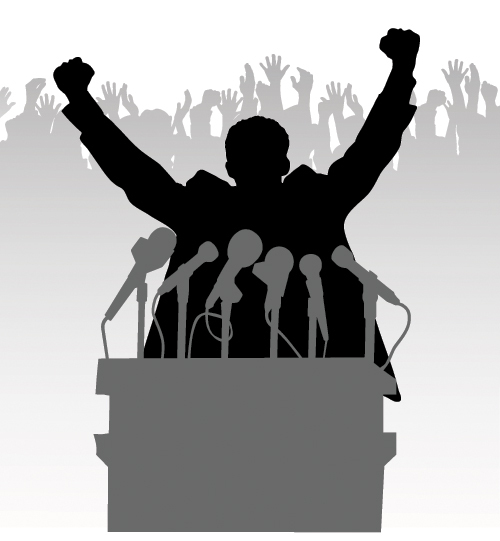 What is next for politics and society? This section of the program will provide you with an overview of advanced psychological theories that many will only see in a university program in psychology, but you will learn them rapidly through this intensive training and educational program. Where does your Personality come from? What is the role of Evolution, Biology, and Genetics? What is Conditioning, and how can you use it? What is the nature of the The Mind? What are the "Principles of Practical Psychology"?